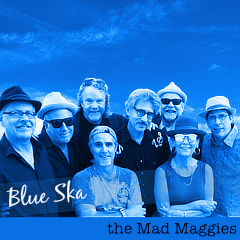 Off to rehearsal shortly to prepare our chops for two, that’s right, two battles of the bands this week. 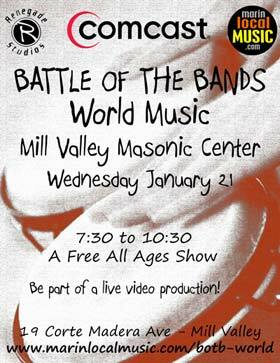 Wednesday night we are in Mill Valley at a Comcast video production of the “Battle of the Bands – World Music“. Oooh TV exposure for the mad ones! And it’s a FREE, all ages event. 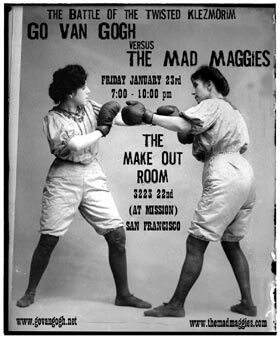 Then on Friday night we look forward to playing with Go Van Gogh for the first time at the Make-Out Room in SF. The bout is entitled “Battle of the Twisted Klezmorim” so you know there will be some body-moving, energetic tunes. And the winners are … YOU all who get to hear so much good local music! battle of the bands, comcast, Dginn, Go Van Gogh, make-out room, SF.